It has also revolutionized the way we interact and engage with each other. Back in the days, we sent letters to a person and then waited for several weeks to receive a response back. Social media has also attracted tons of brands to use it as a marketing tool because they realize that’s where the attention of their target audience is. In fact, as of 2014, 88% of companies used social media for marketing, so you can expect that number to be even higher today. 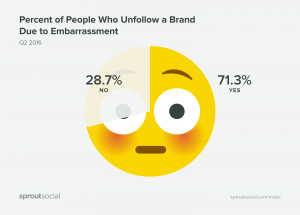 But this is where many brands make a huge mistake. The mistake is that they see social media as any other marketing source, which means that the more ads you shove in your audience’s face, the better results you’ll generate. When you understand that social media is called social media for a reason, you understand why this is a wrong mindset to have as a brand when it comes to social media. In order to benefit from social media, and generate amazing results, you want to focus on using social media as a relationship tool – as a communications tool. Because that’s when you’ll get the most out of social media. And that’s exactly what building a community allows you to do. When talking about using social media as a relationship and engagement tool, rather than a marketing tool, the topic of communities are hard to avoid, and that’s exactly what we’ll be looking at in this article. First, we can define the term community, and then make it applicable to social media. As per Wikipedia, a ”Community” is ”a small or large social unit (a group of living things) who have something in common, such as norms, religion, values, or identity. Communities often share a sense of place that is situated in a given geographical area (e.g. a country, village, town, or neighborhood) or in virtual space through communication platforms”. And the good news is that a lot of that can be applied both to your brand and on social media. A social media community is, therefore, a group of people who share a similar interest, and that interest is your brand’s niche and industry, including your brand. When you build a community around your brand, that community will consist of people from your target audience, as well as existing customers, that use social media as your hub where you and your community of people communicate with each other, sharing your thoughts and ideas about your brand and your niche. A community can be described as a tribe. It is a group of people who have a leader, and then, that tribe is gathered around an idea and interest. In fact, they’ve existed as long as the humans have lived in groups. But for a tribe to work and be created, there are essentially just two things that need to be in place: the same interest, and a way to communicate with each other. And while it is amazing that social media communities, which, in many ways are very similar to tribes that existed thousands of years ago, the only major difference is just that the conversation is taking place on social media rather than face-to-face – which also means that it can include an endless amount of people – from all over the world. In your brand’s social media community, you are the leader. But you are absolutely no dictator. Rather than deciding what you are going to talk about, and who gets to talk in your community, you are more of a leader that steers the conversation, responds to questions asked by your members, and keeps your community engaged and alive. 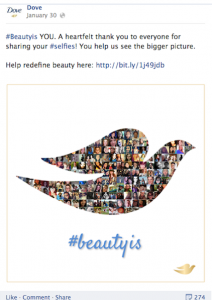 As a brand, having a community of engaged people is tremendously valuable. Because what it means is that you are able to gather your audience all in the same place, and nurture your relationships with them, while, at the same time, you’re keeping them engaged and your brand always on top of their mind By leveraging ways you can improve your customers relationships, you’ll soon gain loyal customers which turn into advocates for your brand. And as you probably know, engaged and loyal customers are quite valuable for brands. 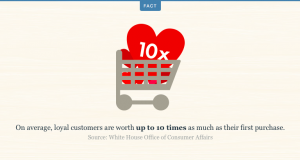 In fact, loyal customers are on average worth up to 10 times as much as their first purchase. Okay, so it’s safe to say that the main benefit of building a community of people for your brand is customer loyalty. And customer loyalty is in turn incredibly valuable. A huge benefit of building a community is also that you get the conversation going, and get people to want to interact with you. By doing so, you get an opportunity to listen to what your audience is saying, both about you and your industry and moreover, you can improve your customer relationships and get them to engage with you on a regular basis. Okay, so building communities are a great way of promoting your brand, however, if you want it to benefit you, you need to do it correctly. When brands set out on the mission to build a community and leveraging social media in doing so, they tend to make themselves into dictators. And when that happens, they will decide exactly in which direction the conversation in the community is going to go, and how it is going to take place. In other words, there’s a huge risk of looking at your social media community too much with the eyes of advertising and promotion. In other words, you’ll end up thinking about how you can get your audience to only talk about your brand and nothing else, essentially. But the problem with this is that this will lead to a community that will quickly die out. Instead, the conversations that your community has needs to be fun and engaging, and they should include a lot of topics outside of your brand – not just be about it. You need to see it as a place for your audience and the people in your industry to meet, chat and have a good time, rather than a place for your o shove ads in your adience’s throats. Something you need to realize is that the way you build a successful social media community isn’t by making your business the center of it, but instead, it’s about making your audience the center of your community. And I’ll go more into detail of this further on. Let’s dig into how you can build a social media community. Listening to your audience is crucial for building a successful social media community. Because the thing is, a community is supposed to be a large conversation, with everyone sharing their ideas, and everyone sharing their thoughts. But unless you take the time to listen to what your audience has to say, you’ll send signals to them that what they have to say is irrelevant, and ultimately, that you don’t value what they say, and in the long run, that you don’t value them. And what happens in a conversation when only one person is doing the talking? It’s not much of a conversation, is it? And the person who never gets to say anything will leave. This is why you need to emphasize having empathy when engaging in your community and understanding that you don’t always have to talk. You can listen, too. Because listening shows that you care and value your audience, thus making them more likely to contribute more to the community, and maybe even to invite their friends. The only reason that you should listen to your audience isn’t so that you show them that you value them, though. Another important reason for listening to your audience is so that you can understand what content they want. Because the foundation is providing your audience with content which a community can be built around, but this demands you to understand what content they find appealing and engaging. And you learn this by actually listening. The best way to understand your audience is to ask them questions. Why sit and wait for your audience to say things when you can just ask them? The best part is that asking them will make them more engaged since it shows them that you care about them. If you want, you can even create a video where you ask your audience what they would like to see and talk about. Showing yourself is one of the best ways to build relationships with social media because remember, people build relationships with humans, not logos and brands. By presenting yourself, you make it possible for people to know who they are talking to, even though you aren’t showing your face right at that second. And this means that people will resonate a lot better with you. When you then put into practice what they are saying, not only will they become more intrigued to see your posts and discuss the topics you are talking about, but they’ll also feel a lot more engaged and seen. The way you build strong relationships is by getting to know them, so you can interact on a much more personal level. And this demands you to actually ask and listen. The better you know your social community, the more engaged they’ll become, because this means that you’ll be able to cater more relevant content to them. The first step to recruiting people to your social media community is actually having an audience and making it easy for people to find you. The more people who find you, the bigger you’ll be able to grow your community, so this is why this is the most fundamental step. In my eyes, this is the single most important step for building a successful social media community. You need to put your followers at the center of your social media community and make it about them, not your brand. Show your audience that you care by listening and taking appropriate action. Engage with them on a regular basis. It’s very dangerous to be in a position where you constantly talk about your products all the time, especially when you’re building your community, because what happens is that you come off as self-centred and egoistic, and in a community, people don’t want to just listen, they want to engage and interact, and feel seen and heard while doing so. Don’t just ask your audience to share photos of the products they have bought from you, but instead, ask them to tell a story of how your products have improved their lives. Not only does this give you tremendously valuable UGC and a story that you can use, but most importantly, it becomes available for the rest of your audience, which will make them more engaged and more likely to see the benefits of your products. If you end up solely putting the focus on your brand and products, people will leave you. Remember that social media isn’t made for promotions and advertising. Instead, it is called social media because you’re meant to be social. Never see your social media community as an opportunity for you to shove ads in your audience’s face, but instead, focus on making the community about your audience, and your audience’s stories. Because the truth is. you can generate amazing marketing results by actually not promoting. It might seem completely crazy, but every relationship you build, and every time you engage with your audience, you increase customer loyalty and thus make them more likely to buy from you. Plus, when they’re taking part in your community, they’ll always have your brand top of mind. A great thing about your social media community is that people will often share user-generated content. You probably know that UGC is incredibly effective in marketing, and this is a reason why you shouldn’t use your social media community for marketing in first hand because what your social media community leads to indirectly is greater marketing (for example by leveraging UGC). So remove all your plans and needs of using your community as yet another source for you to market your brand because if you do, you’ll scare your audience away. Remember, a successful social media community is about building relationships and engaging your audience, not about promotions. These are three traits you need to have when building your community on social media. A social media community is all about interacting and building relationships, and the thing is that people don’t want to build relationships with inauthentic and dodgy personalities. You might have found it a lot easier to build relationships with people who are honest, authentic, and transparent in real life, have you? And while many people believe it is, there’s no difference on social media! The same principles of human interactions go for social media as they do in real life. it’s just that the conversation takes place online. Many brands have embraced becoming more authentic and transparent, as well as developing an own brand personality, and they have found great success from it. People expect brands to not hide everything they do, but instead be open about what it is they are doing. And the most important benefit of this for brands is that it allows people to establish more trust in them. And that’s not so strange, really. A person who is obviously hiding something or a person who is honest, truthful, and transparent with everything? Obviously, the latter and the exact same principle goes for brands. Patagonia is a brand that has greatly emphasized transparency and has created a video about everything that is broke in the garment industry. But it doesn’t stop there. Additionally, they show people what they are doing to solve this issue, or at least to contribute as much as they can to a more sustainable future. They even took it one step further and engaged their audience to contribute with thoughts and ideas on how they can continue working on this issue. And what this lead to was a community of people on social media who engaged and interacted with the brand, giving them ideas and thoughts. In other words, a community was built around the brand on social media, even though there was no real intention for that. Being promotive is considered inauthentic, and trying to hide things is considered the opposite of being transparent. And in today’s and day and age, where information is transported faster than the speed of light, and people can discuss things in a matter of seconds. This means that people can quickly find the real truth of things. So if you aren’t telling the truth, people will find the real truth, and see you as a liar. The more transparent you are in your marketing, and when responding to questions in your community, the more people will trust you. Building a social media community isn’t done in a day. You should think of building a social media community as building relationships in real life because, essentially, that’s what it means. The major difference is that it is done at scale. Do you build strong relationships in one day? Hardly, right? Just think about how many days you have known your best friend, and how many times you’ve interacted with each other. This is why you need to be aware of the fact that having an engaged community means that you need to engage on a regular basis. You are the foundation pillar which holds up your community and keeps it engaged, and if you just abandon your community just because you don’t have time to interact with your audience, your community will slowly die out. In order to build a successful and engaged community on social media, you need to invest time and energy into contributing to it, and you need to do it consistently. People are engaging and interacting with your community because they find it valuable, fun, or interesting. But you should never take your audience’s time for granted, though. Remember that time they spend in your social media community is a time that they’ll never get back, and this puts a great importance of you to show that you truly appreciate them for it. Your community members might shoot photos of your products to share UGC content, they might write a review about your brand, or they might tell their peers about how awesome you are. No matter what, it is crucial that you acknowledge them for it because otherwise, there’s a great risk that they’ll stop, and go somewhere else if they don’t feel acknowledged and seen. A simple ”thank you” might just be enough, because it shows them that you’ve seen them. 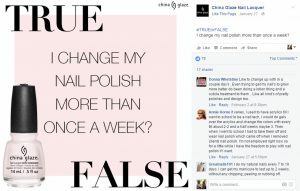 They might have spent hours creating something related to your brand, and if you don’t have a few seconds to write thank you, the truth is that the customer will realize its true worth and go somewhere else. Of course, ideally, you should be writing far more than just ”thank you”, but in terms of acknowledging your audience, it is the very least you should do. To encourage more people to contribute to your community, you can reward those who do. And the best part about doing so is that you are not only showing that you value their time, but it is also the best way to show that you see and appreciate them. When humans feel appreciated and get confirmation for what they do, that’s when they are most likely to do things. When building a community, you need to have a consistent language and personality. The reason is that building a social media community is all about building relationships with your audience at scale. And remember, when you build relationships with people, you build relationships with specific individuals, and you build them by getting to know their personality. What would happen if your best friend would completely change their personality overnight? It would be extremely difficult for you do resonate with them, right? And the same goes for your audience and engaging with you. Therefore, it is important that you define the personality you want to have as a brand and then stick with it. Make sure it is based on your target audience, because this ensures that they actually resonate with it. For instance, if my brand is targeting teens, it probably isn’t a good idea to develop a personality which uses old words and terms, that is more targeted to people who are 70 years old, right? 8.Provide value – lots of it! The value you provide is everything when building your community. What you put out will be your value proposition to your audience – the thing that will convince them to take part of your community, and this is why the things you provide needs to be of great value. Different from what many think, the value doesn’t have to be monetary or ”real” value, but it can also be perceived value. It often is. However, that is not to say that value can’t be monetary value too. In fact, a great way to motivate your audience to share content and join conversations in your industry is to incentivize them to do so. The most common ways to incentivize is to give away coupon codes or to run giveaways. But the truth is that in most communities, it isn’t monetary value that is the convincing factor that gets people to join. Instead, the convincing factor is often that people get to engage with people who share the same interests as themselves, and most importantly, to get answers to questions they might have. The good news is that both you and the rest of your community can provide just that. This is why it is crucial that you take the time to carefully listen to what people are saying and what people are asking. Make sure you respond to each and every question you see, and that you do it in a good manner. Because every time you respond to a question, you provide your audience with value, thus making them more engaged and more likely to stay with you. Moreover, when interacting with your audience, you need to greatly emphasize speed. 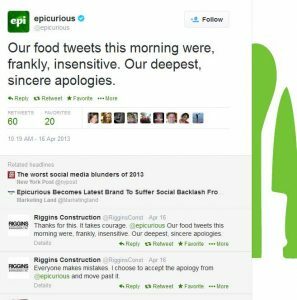 Studies have found that people expect brands to respond within 3 hours on social media, but ideally, you should respond instantly. Do your very best to be online and ready to engage at all times so you can turn your community into the go-to source for questions and customer service. 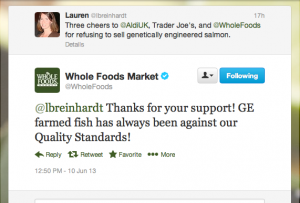 Chances are, your customers have plenty of pain points with both your brand and your industry. And if you just take the time to listen, you’ll be amazed at how many you can find. Social media is an incredible listening tool because instead of talking face to face, people now take it to social media to share with all their friends about a bad brand experience, or thoughts on things that can improve. Your customers are the ones that put your products to test our in the field, and they are the ones that live and breathe your industry, so as a result, you can expect them to have quite valuable insights into the reality, and you can then elaborate on those ideas to create things that your audience is screaming for. Your industry just hasn’t realized it yet. Not even your competitors. Emphasise social listening to find out what your audience is saying about your brand on social media, both directly and indirectly. But you shouldn’t just stop at that. 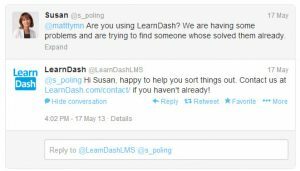 You also want to engage and interact with your audience and ask them directly about the pain points they have. Doing so will make the conversation much more genuine and personal, and you might find things that you had absolutely no idea of. The thing is, as consumers, we feel quite powerless. 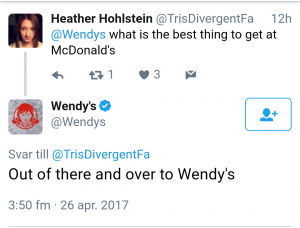 Sure, if we go together against a brand, we as consumers have quite the power, but it is hard to get listened to by a brand. But the good news is that you can do the complete opposite of what I just said and incorporate the things you get to know from using social listening as well as the things you’ve found out by interacting with your audience, into your very own brand. 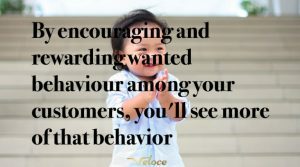 If you do this, your customers will love you forever, because it really is the epitome of showing your customers that you see and value them. If you show that you pay great attention to the opinion and ideas of your social media community, more and more people will join your community just to have their voice heard. As a business, it’s all about providing solutions to your audience. For instance, if you notice that a lot of people are struggling with using your product, and you can see that a lot of people are asking questions about it in your community, you should see it as your duty to create something like an instructional film where you go through each step of your product. As I’ve said earlier, the way you benefit from a social media community is not by promoting as much as you can. Instead, it is about using your community as a direct channel to reach your audience and engage with them, and as a result, improve your relationship with them, and increase their loyalty. All of which are tremendously valuable for a brand. It’s easy to believe that now that you have your audience’s attention, you can start promoting your brand in it, but that means missing the whole point. When it comes to social media, you actually generate better marketing results by promoting less. 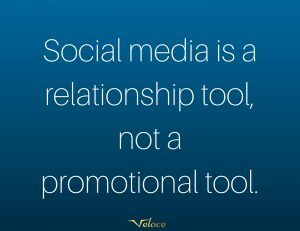 And that’s because social media is all about interaction and relationships. And remember, relationships aren’t built by constantly asking other people to do something for you. Instead, great relationships are give-take relationships. Ideally, you should give 51% of the relationship, because that means you have the leverage. Storytelling is extremely effective in marketing, and that’s because humans have found to better resonate with stories because most often, they impact us emotionally. Storytelling allows you to bridge the gap between your brand and your customers and thus improve the relationship with them. But the best part about your community is that you don’t have to be the one who tells the story. Instead, you can leverage your audience, and distribute their stories instead. Your customers are a lot more trusted than you whether you’d like to admit it or not, and the reason is that people know that your only interest is to sell more, whereas your customers have actually experienced your brand and have no real agenda. This is why you should encourage your audience to tell their stories of their brand experiences and tell the story of how your brand and products have helped improve their lives. This will not only be good for you in marketing, but it will also encourage more people to tell their story, as well as other people, become customers. This is really a win-win situation because you get access to wonderful stories that you can leverage, your audience feels like they’re part of a larger group, and get a sense of belonging, but most importantly, they get listened to. 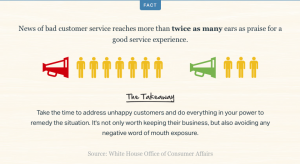 It’s no secret that customer service is everything when it comes to retaining your customers and having them return time and time over. In fact, It is 6-7 times more expensive to acquire a new customer than it is to keep a current one. 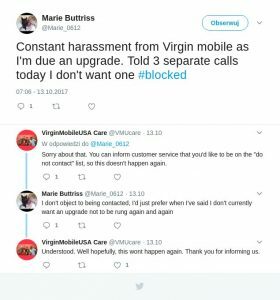 But the punchline is that 91% of unhappy customers will not willingly do business with you again. But on the flip side, if you succeed in resolving a complaint in the customer’s favor they will do business with you again 70% of the time. 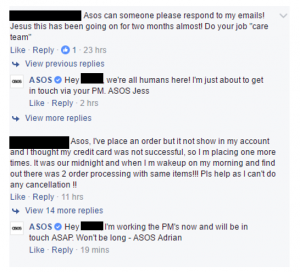 This proves the importance of customer service, and why you need to focus on it. Great customer service leads to more loyal customers, and more loyal customers mean growing your social media community – a place where they’ll become even more loyal. As I spoke briefly about earlier, the time of which it takes for you to respond is crucial. 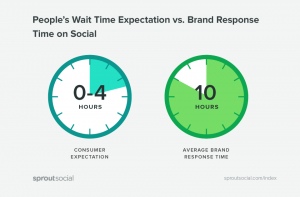 An important reason why more and more people are turning to social media for customer service is that they’re already spending a lot of time there, but more importantly, because they expect to get a response quickly. Not send an email and wait 24 hours. This is why you want to make your community the go-to-place for great customer service because what this will do is attract even more people to join your community. Try to be active and approachable at all times, and be ready to respond to each message you receive. An important part of authenticity, which I spoke about earlier, is being able to admit when you are at fault. 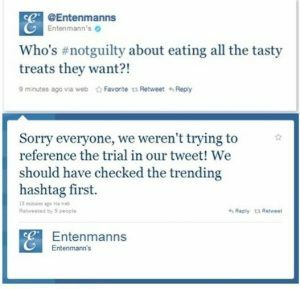 There’s nothing people hate more than brands stubbornly holding onto the fact that they did nothing wrong. And brands do this because they don’t want to present themselves as vulnerable. But the truth is that admitting when you are wrong can be more beneficial than refusing to admit that you are wrong. Because when you admit that you’ve made a mistake, you show integrity and present your brand in a more human light. 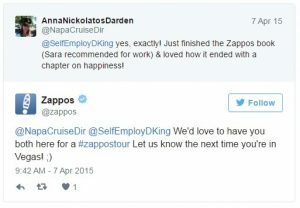 Everyone knows that brands are run by humans, and all humans make mistakes. So don’t try to pretend like you didn’t do anything wrong when you make a mistake. Instead, admit it, and make things right again. When you do this, your audience will build a much higher level of trust, whereas the brands that pretend like nothing actually damage their trust and authenticity. Your social media community is built around similar passions and interests. Most often, that community is focused on the industry your brand is operating in, as well as your brand. Therefore, your focus should be to build a social media community that is focused on just that. The communities that truly succeed are the communities that become a hub for people who are passionate about a particular industry. When the community of a brand becomes the go-to source to discuss things within a particular industry, that’s when a brand has succeeded. So that’s what you want to do, too. People need reasons to do things. I’ve already talked about incentivizing your audience into taking action, by using things such as telling a story, etc. But you don’t always have to incentivize with physical objects. Moreover, I’ve also spoken about the importance of providing your audience value in one way or another, because really, your value proposition is what will attract people to your community in the first place. This is why exclusive content is so effective. The content you share in your community should be highly exclusive and limited so that only the people who are part of your community will access it. Many people have the fear of missing out, and if you clearly say that you will share exclusive content in your community, people will be convinced just for that sole reason. But the thing is that you don’t want to overpraise and then make your audience disappointed because that will only decrease their trust in you. Focusing on getting engaged and loyal followers is far more valuable than working to get short-term customers who only buy from you once. 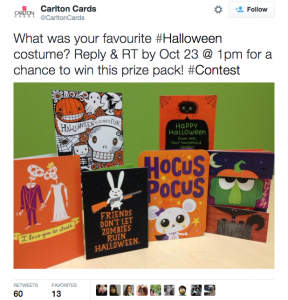 One of the most effective ways to get loyal customers and fans is building a community. By building a community, you attract people and gather them around a specific topic where they can interact, discuss, and engage. Building customer relationships is the single most effective tactic for turning your customers into loyal advocates, and through your community, you’ll not only be able to engage with your audience by yourself, but other people in your audience can also engage and interact with eachother.